Click on the Profiles that are using the “BluSynergy Layout” and revert back to “Account Layout” and click “save”. 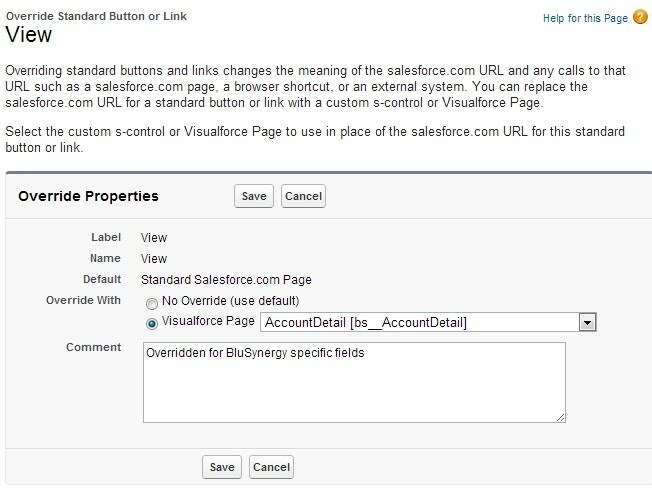 Now go to “Buttons, Links and Actions” under Accounts, and then click “Edit”on the “Account Detail” line. 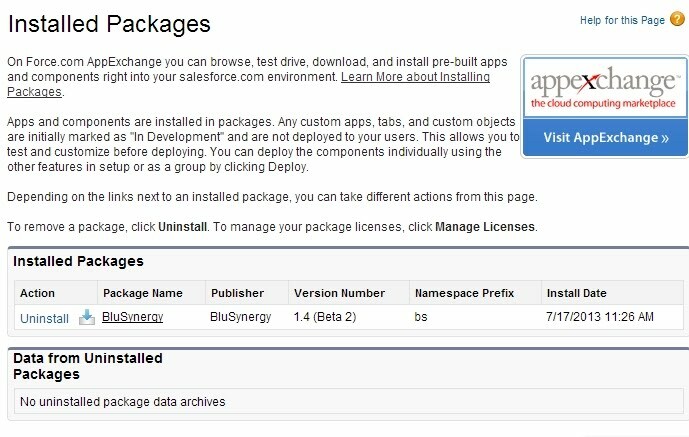 Then navigate to “Installed Packages” and click the uninstall link next to the “BluSynergy” package. Fig 4. Uninstalling the package after removing dependencies.